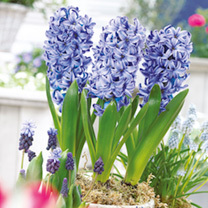 Hyacinths make an excellent addition to any garden, providing stunning spring displays of fragrant blooms in borders and containers. 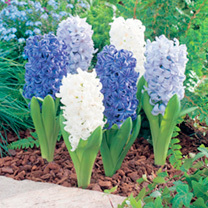 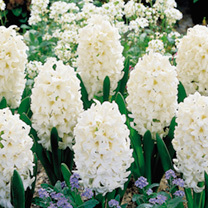 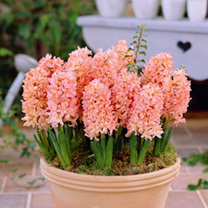 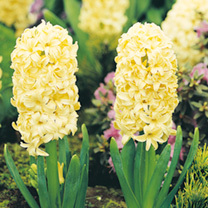 Planted in groups, our hyacinth bulbs also make for a compact, elegant display along walkways! 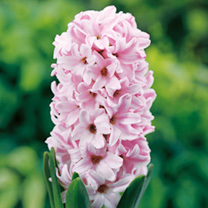 Add a dreamy feel to your borders with our Pretty in Pink collection, which combines soft pinks, maroons and whites for a touch of romance. 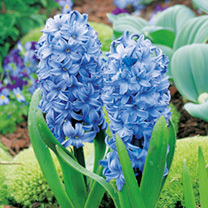 Or, for cool blue tones, Ocean Mix is a soothing blend of white, pale blue and dark blue shades. 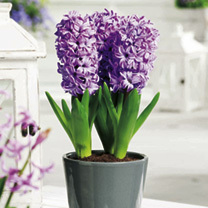 Whichever you go for, you’ll welcome spring with cheerful, pretty colours and a delightful fragrance. 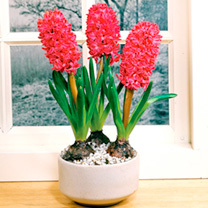 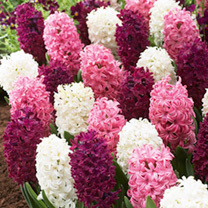 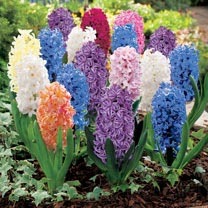 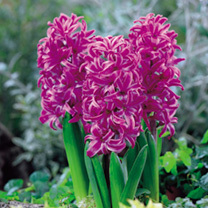 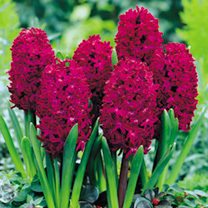 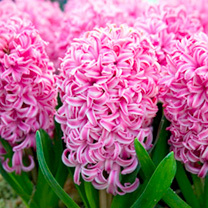 For those of you who love a vibrant mix of colour, our Hyacinth Collection combines 80 bulbs (10 of each variety). 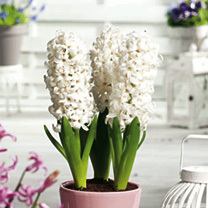 Our fragrant hyacinths are easy to grow, and there’s nothing better than a gorgeous display of flowers and the scent of spring when they bloom.